We believe the nuances in soil, weather, orientation to the sun and topography has an effect on each vine and as such we treat each of them as an individual. With sons Marco and Giovanni, Giuseppe works to see that our vines reach the best expression possible on our property. Great care and attention is given to each stage of the wine making process, from the vineyard to the bottle. We personally bottle all our wine under the highest standards to ensure a consistent and quality product. We work every day to keep this tradition alive. We don’t use herbicides nor pesticides in our vineyards or hazelnut groves. In some vineyards, we don’t mow the grass between vines. We believe in letting the vines exist with other naturally occurring plants in harmony, producing another interesting variable to the wines we produce. The deep roots of old vines not only add a stability and resistance to disease and weather, but also an increased uptake of minerals and extractions from the soil. We normally don’t “green harvest”, believing the plant will know what to produce and how much to produce to give the best fruit for making our wines. 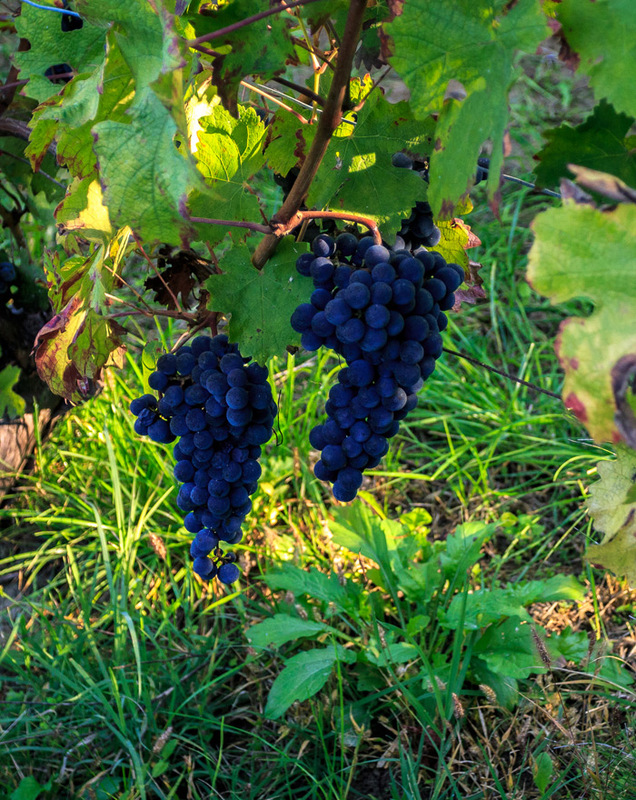 Some seasons see a vine producing only one grape. We allow nature to dictate the end product from which we then apply our traditions and style to make the best wine we can. Sulfur, a natural preservative, is in our opinion, best employed in very limited amounts. And to also ensure the best results we follow the age old tradition of bottling during the days of a waning moon. From the expression of individual vines, our belief in natural production to the final product in the bottle, our family is committed to creating products that are the ultimate expression of our particular and unique corner of the world. They embody not only the land, but our commitment and passion to do what we love; making wine!